Maryam Monsef says she visited Iran in 2014. Travelling to Iran, however, is no easy feat. Especially for a person carrying a Canadian passport. I know from personal experience. In 2014, after my wedding, I wanted to travel to Iran to visit my new in-laws. My husband was born there, but hasn’t returned since his family immigrated to Canada in 1995. I wanted to visit my husband’s extended family and see where he grew up. But I was repeatedly told it was not a good idea for a Canadian to go there. The Islamic Republic of Iran is the world’s biggest sponsor of terrorism, the world’s biggest abuser of human rights and one of the most secretive governments in the world. Iran’s mullahs have a bad habit of kidnapping visitors and using them as diplomatic pawns in their maniacal foreign policy. In 2012, the Harper government expelled Iran’s diplomats from Canada, closed the Iranian embassy and cut diplomatic ties. Iran reacted in early 2014 by imposing severe travel restrictions on Canadians. Those with Canadian passports could no longer simply apply for a tourist visa. They were required to first sign up through a government-sponsored tour. Much like in North Korea, Canadian tourists became required to travel with a state-approved guide. 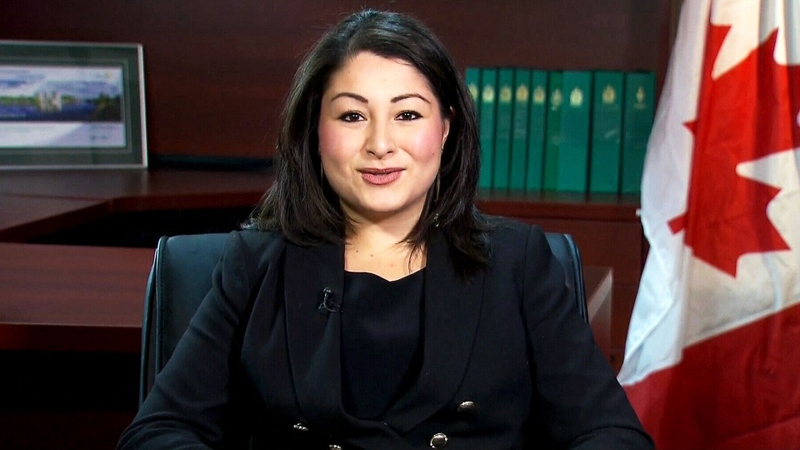 Given the strained relationship between Iran and Canada at the time, and given Maryam Monsef’s status as an Afghan refugee and Canadian citizen, it is strange that she was able to visit Iran in 2014. Very strange. According to her own account, she wanted to move back to Afghanistan for work, but was denied entry due to the deteriorating security situation. Instead, she told Le Devoir, she went to Iran and worked with Afghan refugees.